Immunosuppressant antimetabolite: either alone, or more commonly, in combination with other agents (usually corticosteroids) and procedures which influence the immune response. Therapeutic effect may be evident only after weeks or months and can include a steroid-sparing effect, thereby reducing the toxicity associated with higher dosage and prolonged usage of corticosteroids. Azathioprine, in combination with cortocosteroids and/or other immunosuppressive agents and procedures, is indicated in the management of patients receiving organ transplants. Azathioprine, either alone or more usually in combination with corticosteroids and/or other procedures, has been used with clinical benefit which may include reduction of dosage or discontinuation of corticosteroids, in a proportion of patients suffering from the following: severe rheumatoid arthritis, systemic lupus erythematosus, dermatomyositis/polymyositis, autoimmune chronic active hepatitis, pemphigus vulgaris, polyarteritis nodosa, autoimmune haemolytic anaemia, chronic refractory idiopathic thrombocytopenic purpura. 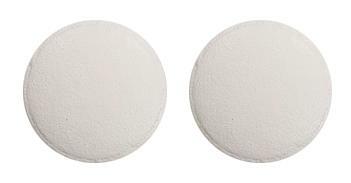 Round, biconvex yellowish-white film coated tablets. 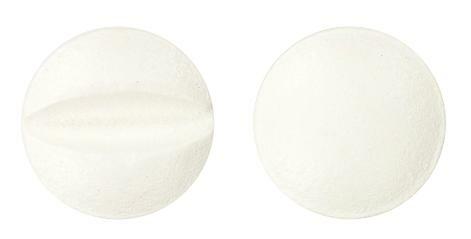 Round, biconvex white to yellowish white film-coated tablets, with one-sided breaking notch.